We’re thrilled to once again welcome the best exhibitors in 2019. 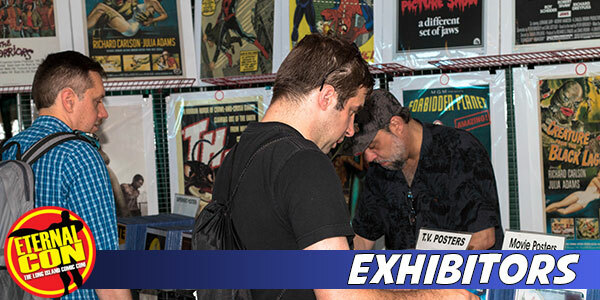 Eternal Con boasts a wide range of exhibitors which includes comic book publishers, small press publishers, video game companies, modern comic book retailers, gold & silver age retailers, vintage and modern toy retailers, manga & anime retailers and much, much more. Eternal Con has moved to the Nassau Coliseum with over 300 tables of pop culture goodness! If you would like to be a vendor at Eternal Con 2019 please go to the Exhibitor info page. Copyright © 2017 Eternal Corp. All Rights Reserved.